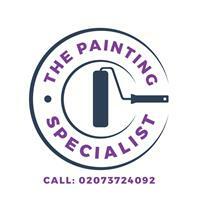 The Painting Specialist - Painter/Decorator based in Kilburn , London. The Painting Specialist is an established business that provides quality decorating work to clients throughout the local area. The company, which is located in Kilburn (London), was set-up in 1997 and has many years experience in the decorating sector. All the work is done to a professional standard by time served tradesmen. Painters in london. we do interior and exterior work from one room to a front door, and use only Dulux paint products - if the customer would prefer to use eco friendly paints they can use those. Photos of other projects which can be viewed upon request at any time and references from previous clients are available. A two year guarantee on all work. Covering all the London area .